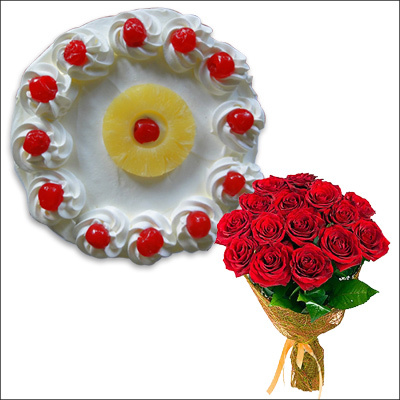 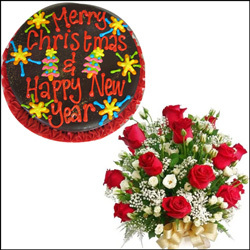 Sweet and delicious round shape vanilla cake - 1kg + 20 Red roses flower arrangement in a basket. 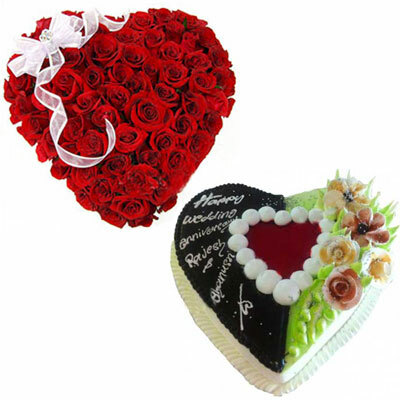 Heart shape cake topped with Chocolate truffle, green glaze and cream flowers - 1.5kgs + beautiful Heart shape flower arrangement with 60 Red roses. 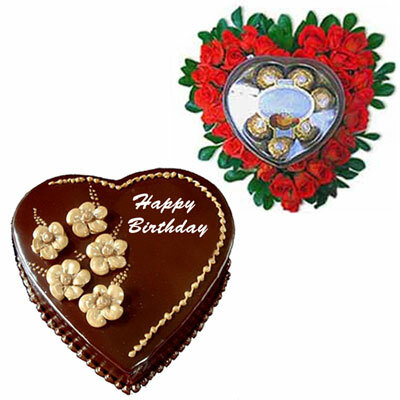 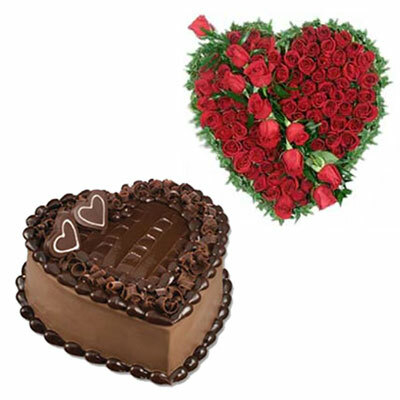 Delicious heart shape chocolate cake - 1kg + 36 fresh stem red roses heart shape flower arrangement with heart shape Cherior 8pcs chocolate box. 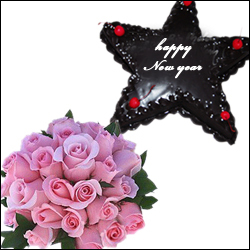 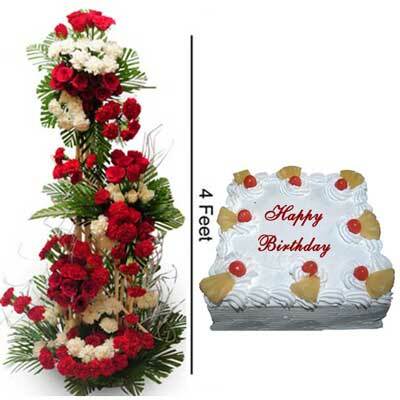 1kg Heart shape fresh cream cake + 12 white, pink & Red roses in a beautiful floral bunch. 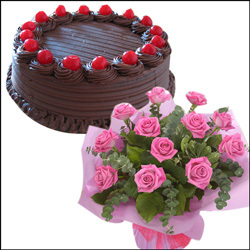 Yummy Chocolate 1 kg Cake + Beautiful bunch of 20 Orange Roses. 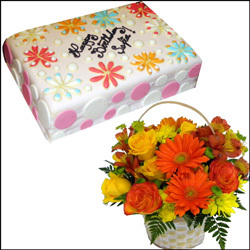 1kg pineapple Cake + Bunch of 12 yellow coloured steams of Gerberas and 1 Asiatic Lily. 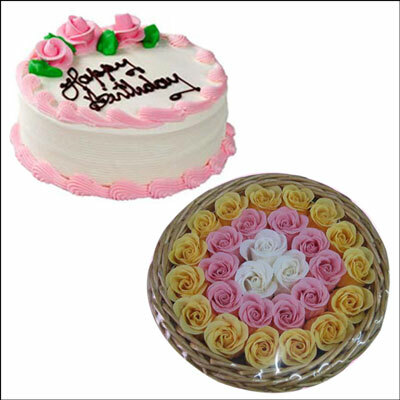 Butterscotch Rectangular Cake - 1Kg + Beautiful bunch of 20 Pink roses. 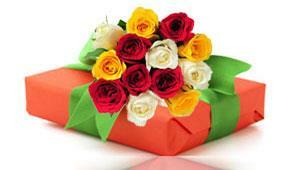 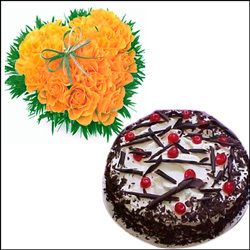 Beautiful bunch of 20 Orange Roses + 1kg yummy delicious cake. 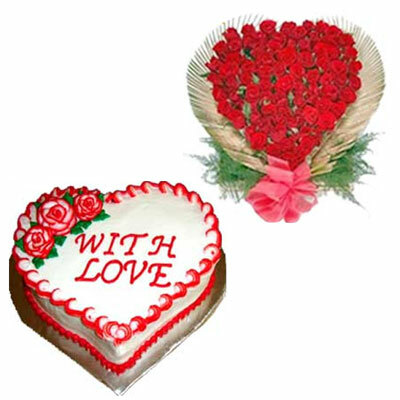 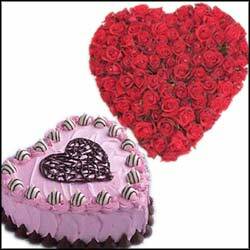 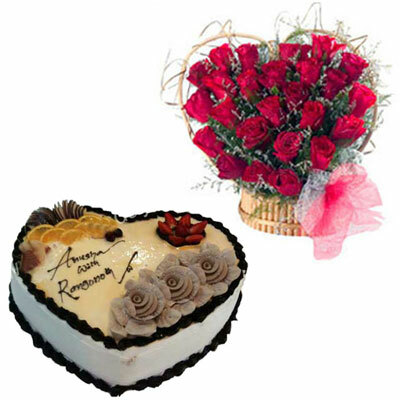 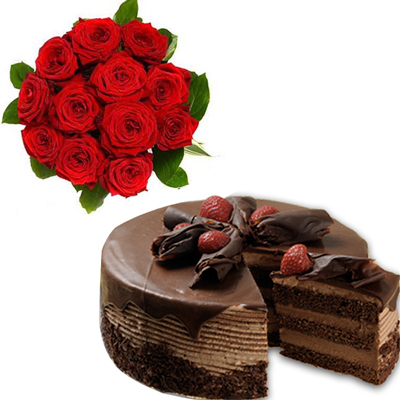 Yummy delicious Heart Shape cake of 1kg + 20 red roses cute flower bunch is perfect to express your feelings on the special occasions. 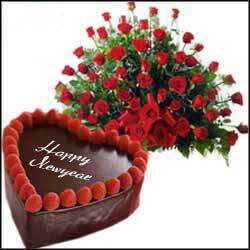 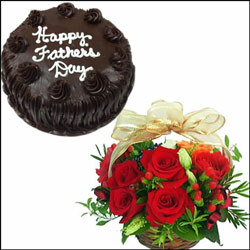 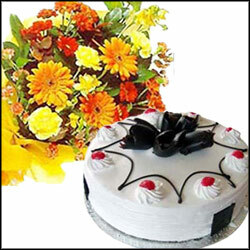 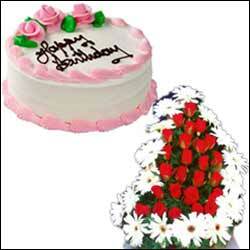 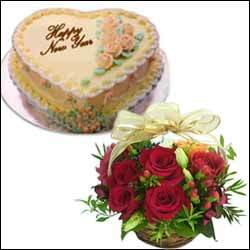 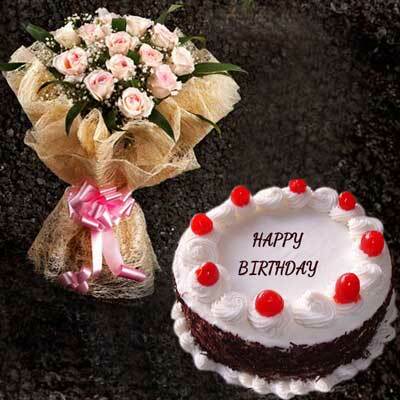 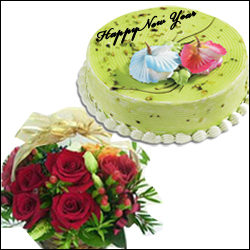 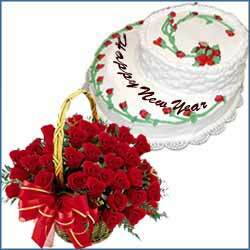 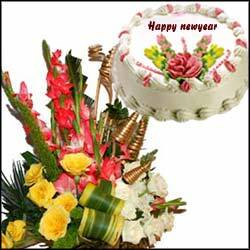 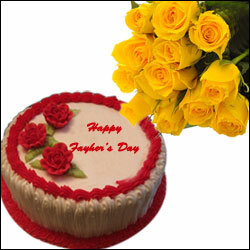 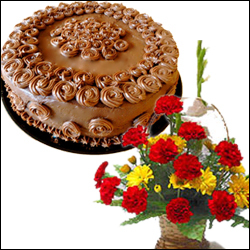 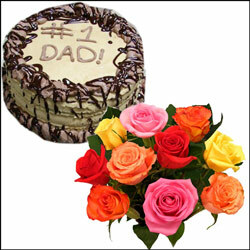 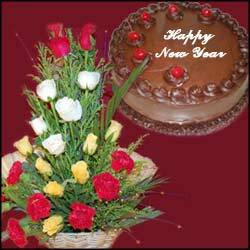 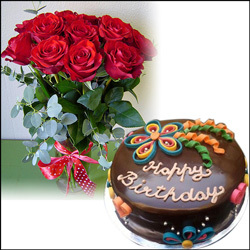 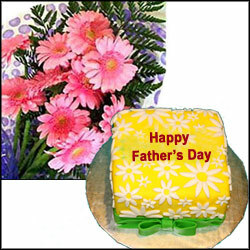 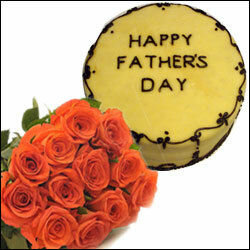 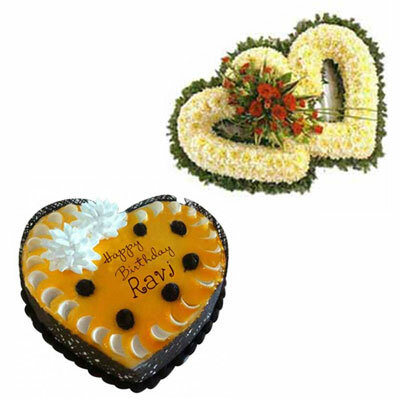 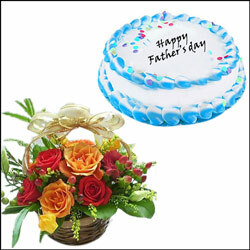 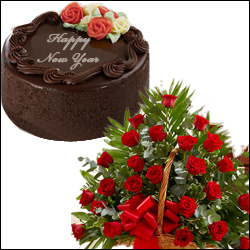 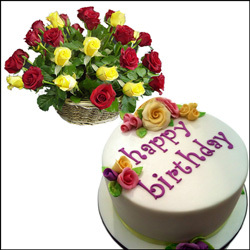 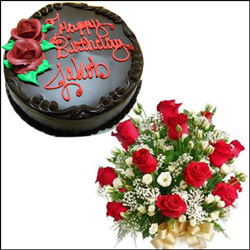 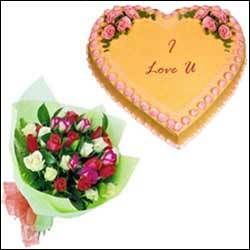 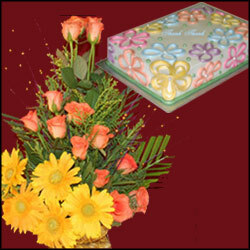 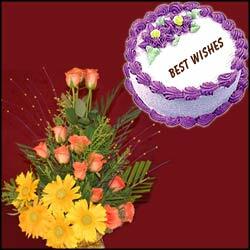 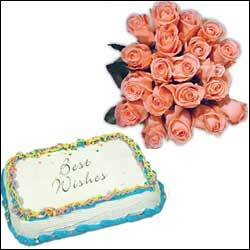 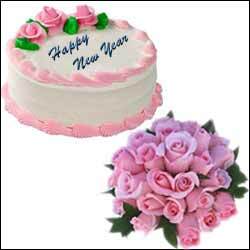 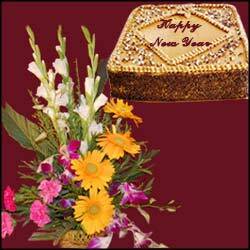 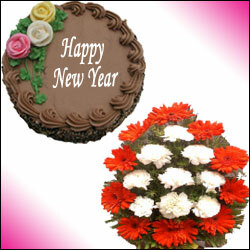 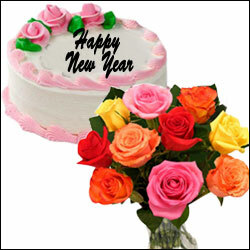 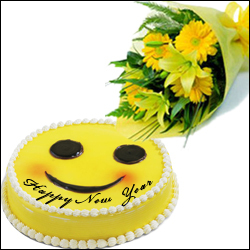 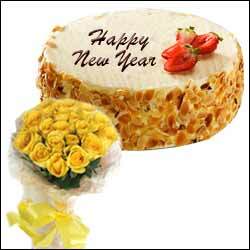 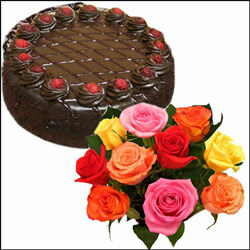 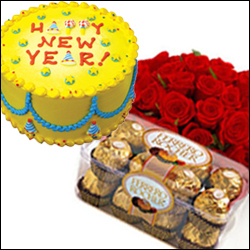 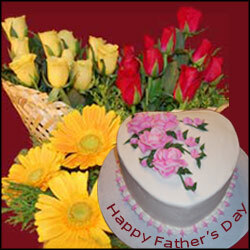 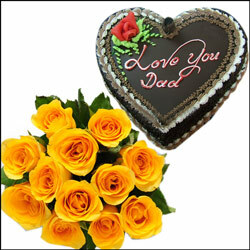 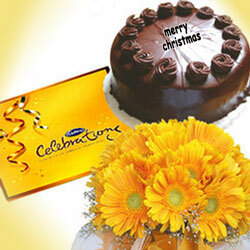 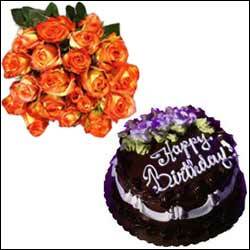 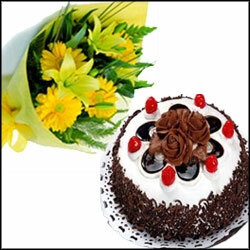 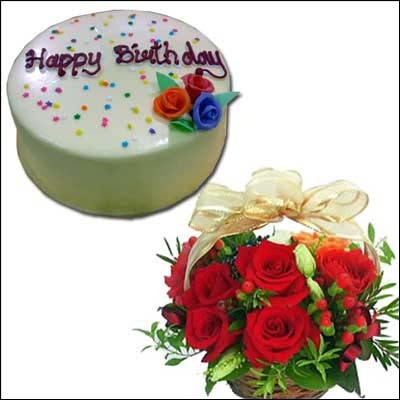 1kg Butterscotch cake + 20 yellow roses flower bunch is perfectly enough to convey your heartly wishes on this special eve. 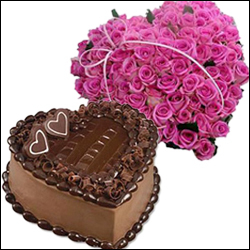 Convey your gorgeous wishes to your dear one by gifting this cute hamper consists of 20 pink roses + 1kg chocolate Heart shape cake. 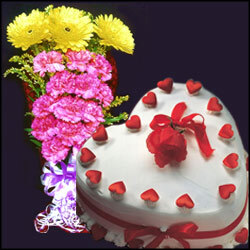 Yummy delicious Heart shape cake - 1kg + 12 Pink Carnations and 3 yellow Gerberas made as a beautiful bouquet. 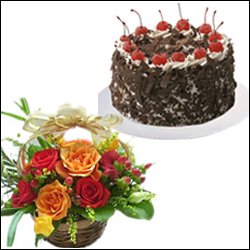 Convey your greetings to your dear one by gifting this sweet hamper consists of 1kg Chocolate round shape cake + Beautiful flower basket of Mixed Roses with Red carnations along with fillers. 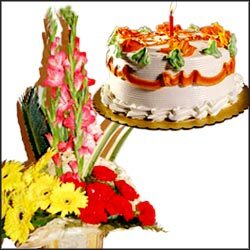 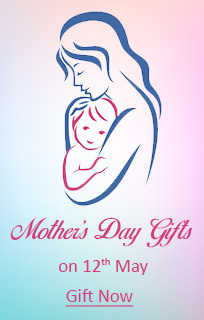 Convey your special wishes to your dear one by gifting this beautiful hamper of Delicious 1kg cake + Beautiful Flower arrangement with Gerberas and Roses. 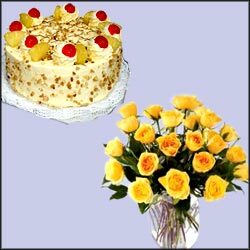 Greet your dear one by gifting this beautiful hamper consists of Delicious 1kg Butterscotch cake + 20 yellow roses in a beautiful vase. 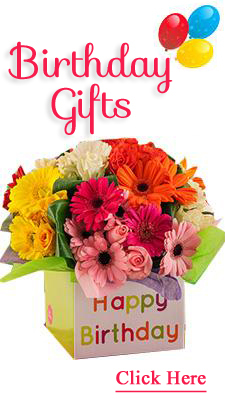 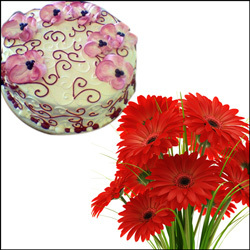 Rosy pink Delight - 1kg cake+ Wonderful basket of 12 White Gerberas and 18 Red roses floral arrangement. 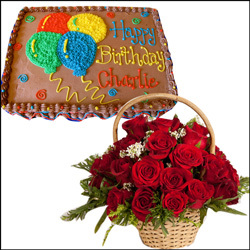 20 red roses basket + 1.5 kg lovely heart-shaped cake is just right combination to celebrate this eve. 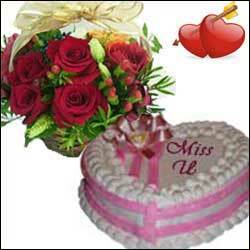 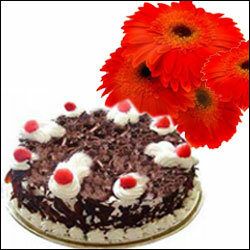 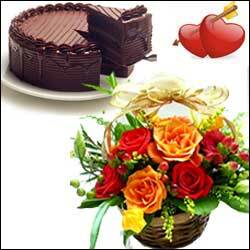 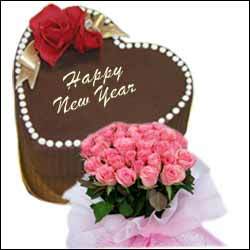 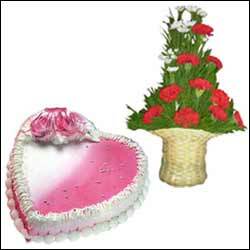 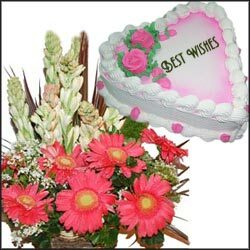 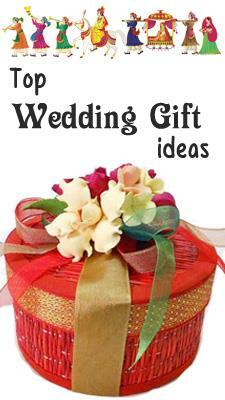 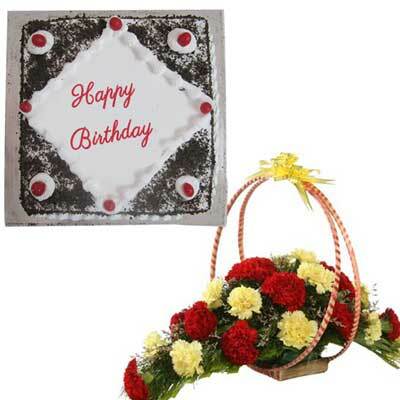 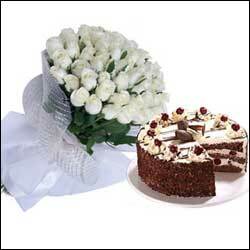 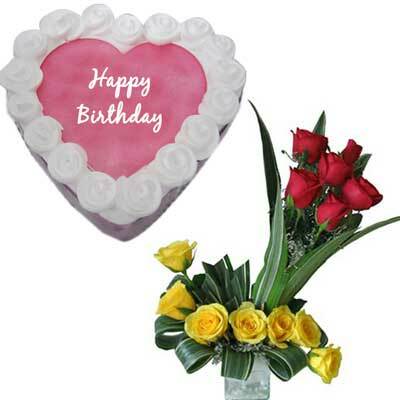 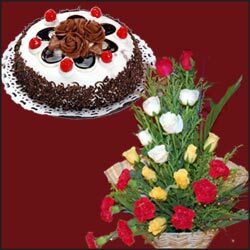 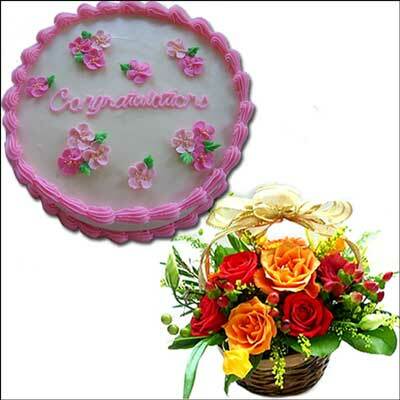 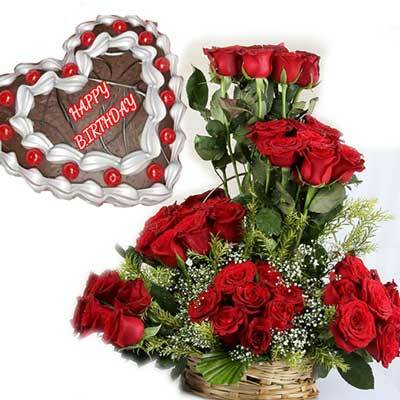 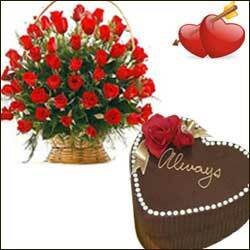 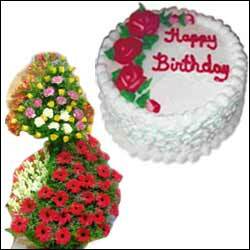 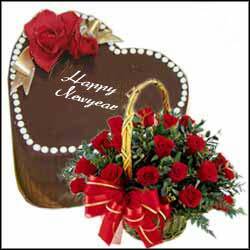 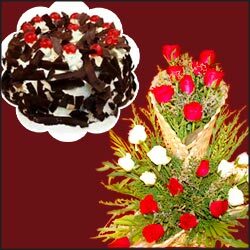 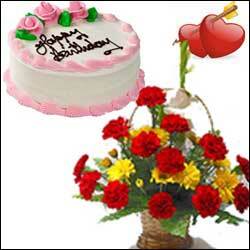 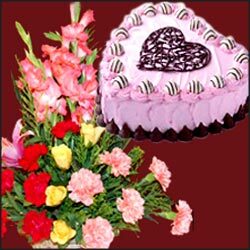 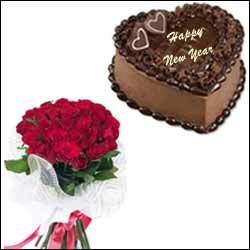 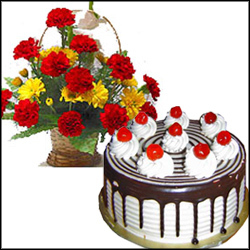 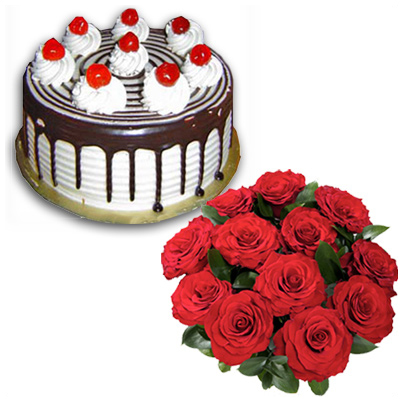 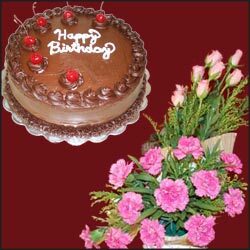 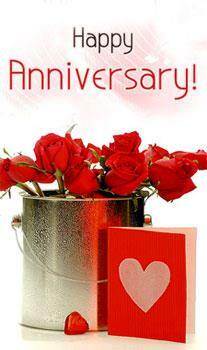 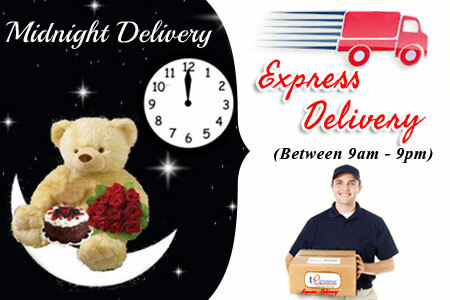 Thrilling Heart - 2kgs cake +Basket of 10 Red carnations with white fillers beautiful floral arrangement. 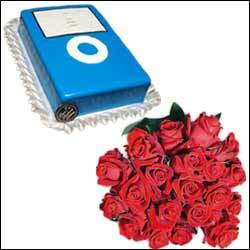 Beautiful Ipod shape 2kg cake + cute bunch of 20 Red roses. 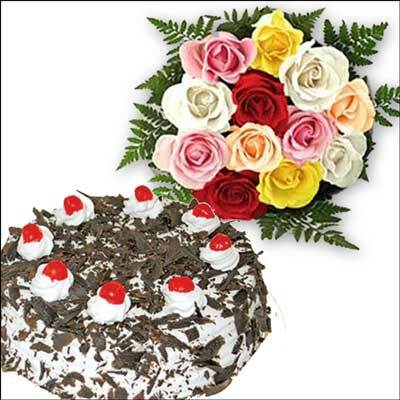 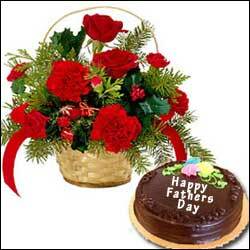 Beautiful flower arrangement with Red Glades, Yellow and White Roses + 1kg delicious cake. 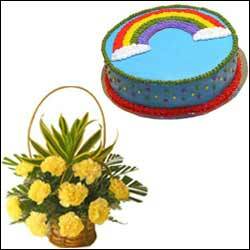 Cute Little Rainbow -2kgs cake+ Beautiful floral basket of 12 yellow carnations. 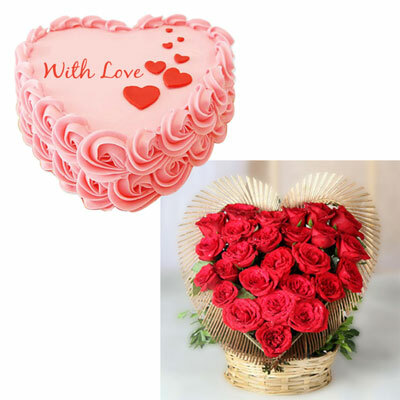 2kg delicious cake + a beautiful 25 red roses flower basket is never lasting hamper to bring the Jumbo Blushes on your dear one face. 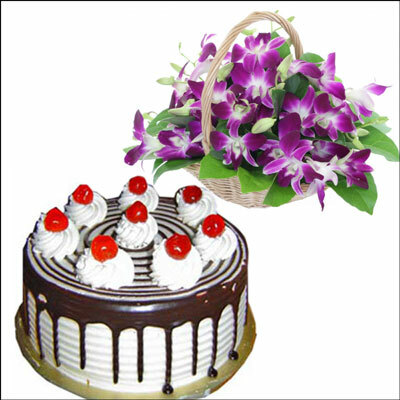 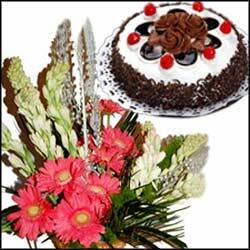 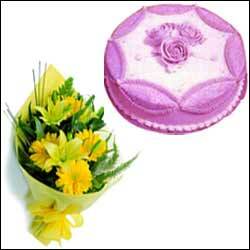 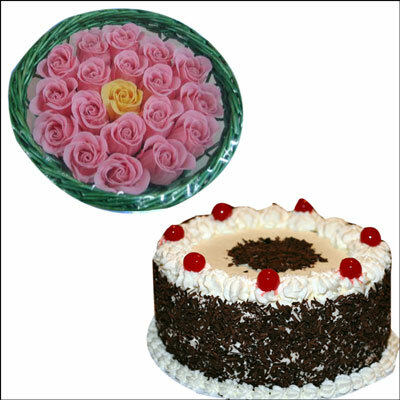 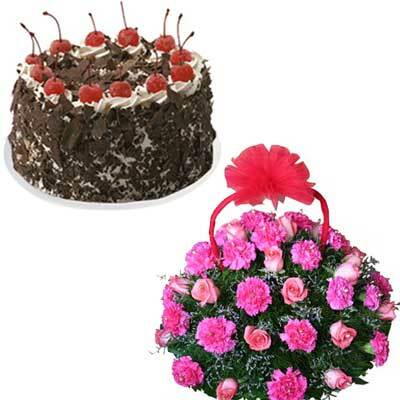 Yummy delicious round shape chocolate cake - 1kg + Orchid flower basket. 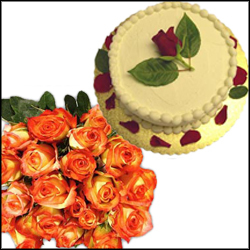 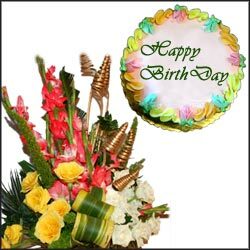 Delicious and Beautiful Rosy Cake - 2kgs + A complete Beautiful exotic arrangement with 80 assorted flowers like Gerberas, Roses, Glades, and Carnations.